When I finished Chintz Circles for my aunt last summer, I had it in the back of my mind that I would eventually make a lap quilt for us using the same sort of shabby chic fabrics. At that time, I had printed a number of the shapes needed for the blocks for that quilt. They sat and sat but last night I decided I just had to make one block. It really is a fun block to stitch and I was in the mood to make one. Perhaps I’ve finally got a start on the blocks for our quilt. It looks like Smudge was wanting to change the channel on the television! It is a wonderful block! But how can you just make one… isn’t it like eating potato chips? 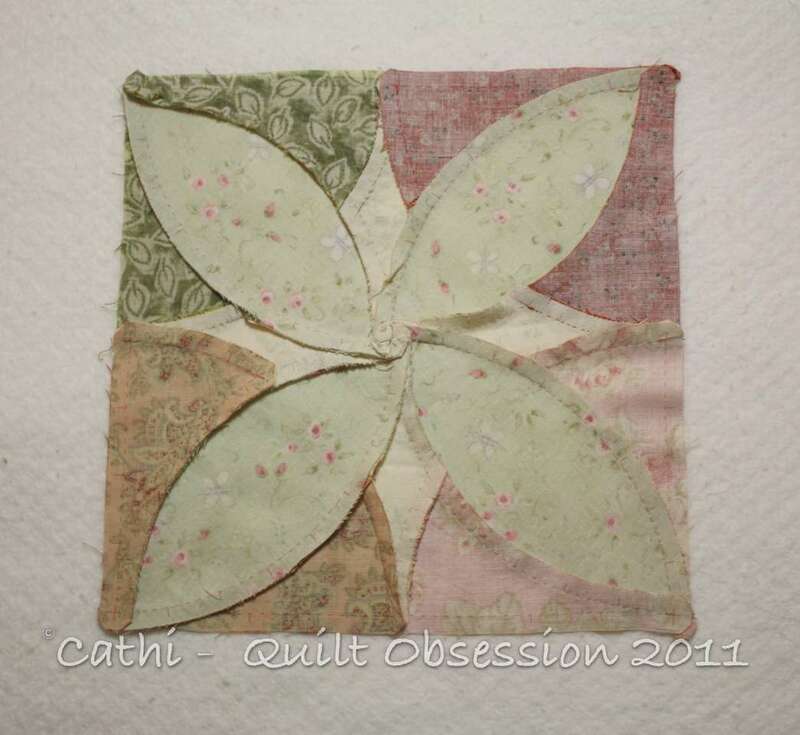 Gosh that’s a beautiful block with gorgeous petals! Smudge probably is surfing through the channels looking for the Animal Planet station, when you aren’t watching. Lovely to see this block again! Smudge is probably looking for one of those programs on big cats in Africa. 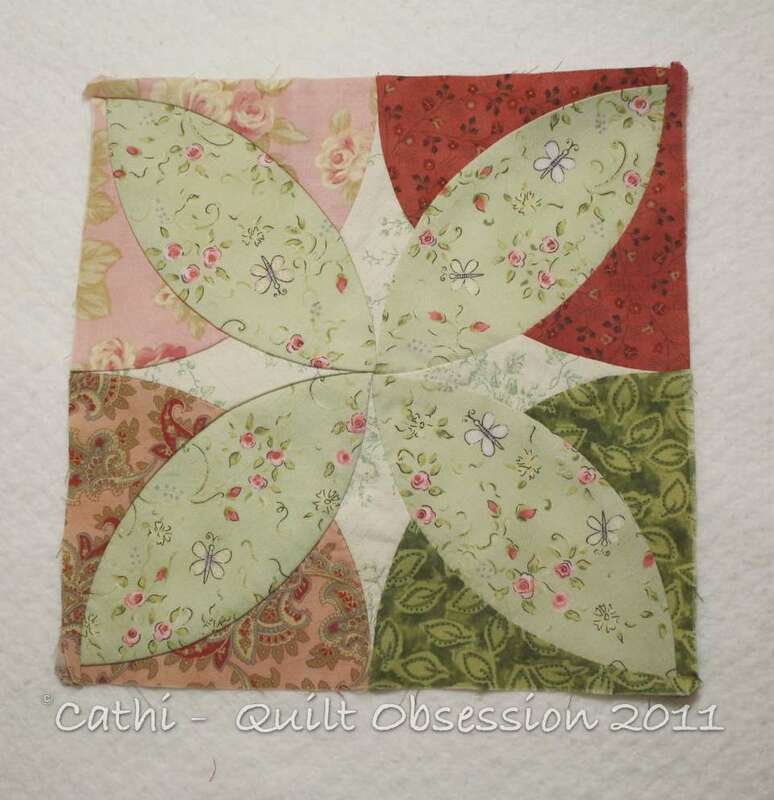 Pretty block!~I remember that quilt well. It is a beauty! How IS your Aunt?!?! I think of her from time to time… Have a wonderful day! oooo such a pretty block. I wonder how many you will make before you switch to something different. 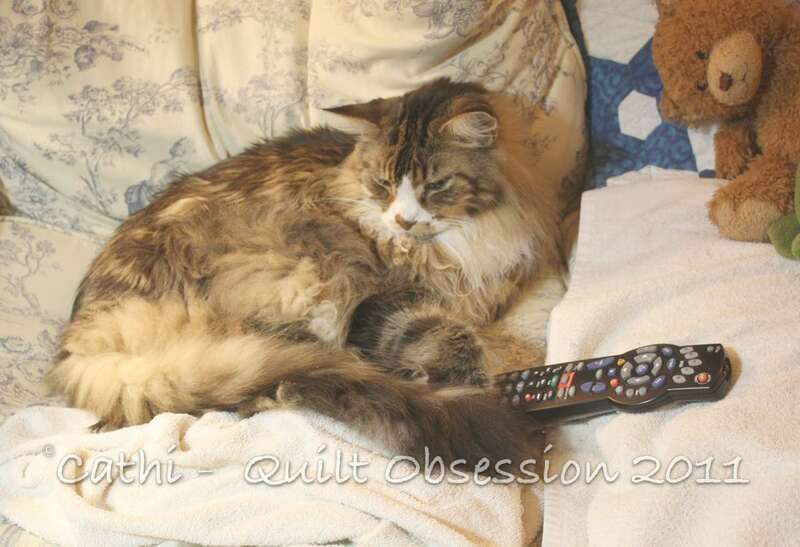 Smudge wouldn’t have to take control of the remote if you wouldn’t change the channel when he’s watching Animal Planet LOL.